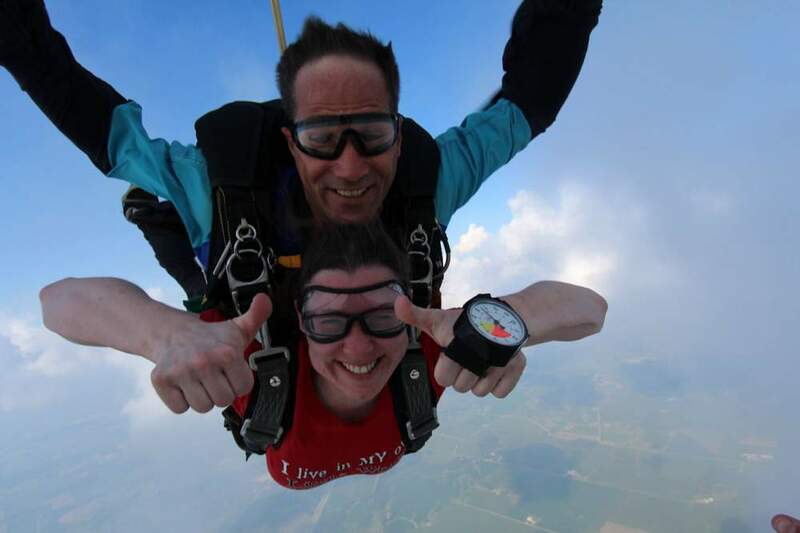 Jump from 10,000 feet attached to your instructor with a parachute built for two!Tandem skydiving has made it easy to enjoy the exciting sport of skydiving. You will be harnessed to the front of a fully licensed, professional and friendly tandem instructor.Go along for the ride of your life!Your instructor is in charge every step of the wayand guides the jump, from aircraft exit, to freefall (for about 30 seconds at 120 MPH! ), opens the canopy (parachute), to a comfortable, accurate landing (about 5-6 minutes).For more fun, you can purchase a video of your entire amazing jump taken by one of our aerial photographers.Appointment necessary.Approximately a half an hour of training. Group discounts available.